Inside the BMO Harris Bank building on the corner of Parmenter St. & University Ave.
Our mission is to help our policyholders manage the risks of everyday life and to be the first choice for all of Middleton and Madison. 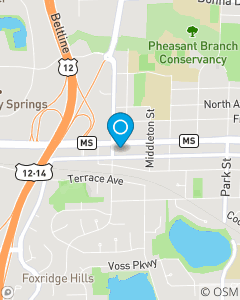 Our office has served the auto insurance, home insurance, life insurance and health insurance needs of the greater Madison, Middleton and Cross Plains communities since 1962. Our team of insurance professionals are here to give you the best value for your insurance premium. We appreciate your business!